Chamblee Plaza, the aging shopping center on Peachtree Boulevard, may soon see new tenants, including multiple new anchor stores. Vince Riggio, Founding Partner at Trinity Development Group, the firm that since 2012 has owned the center, spoke exclusively with ToNeTo Atlanta about his plans for the project. 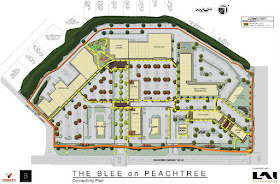 Originally opened in March 1960 , Chamblee Plaza was to have been largely demolished and rebuilt as "The Blee on Peachtree," according to plans announced in 2013. A number of factors caused that plan to fall apart, among them the Sardis Masonic Lodge on site and their reluctance to relocate. The City of Chamblee was also not keen on the reconfiguration of the center. Now, six years after the announcement of The Blee on Peachtree, and nearly 60 years after the center first opened, plans now call for keeping the center largely the same, but breathing new life into it. ToNeTo Atlanta has tracked the progress at the center over the years and patiently waited for news to come. Riggio envisions recapturing some of the mid-century charm of the center, similar in some ways to the work done by Edens at nearby Toco Hills shopping center, and in Charlotte at their Park Road shopping center, both of which opened in 1956. Riggio further adds that there will be a focus on the female customer in the current and upcoming tenant announcements. With nearly 800 parking spaces, Chamblee Plaza will be far better able to handle the number of anchors envisioned and the amount of traffic that it will attract than recent developments such as Peachtree Station and Parkview on Peachtree, where limited parking is a nagging issue. 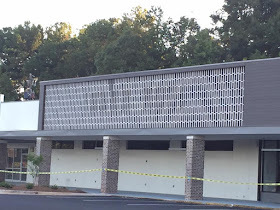 A restaurateur turned real estate developer, [his firm owned Plaza Fiesta (Buford Clairmont Mall) between 1999-2007], Riggio is a nearby resident and hopes to create an "amazon proof" center, home to popular retailers, but also to local restaurants and shops. The center will stay largely the same from a structural standpoint, but few current tenants will remain, while many others have already relocated or closed. 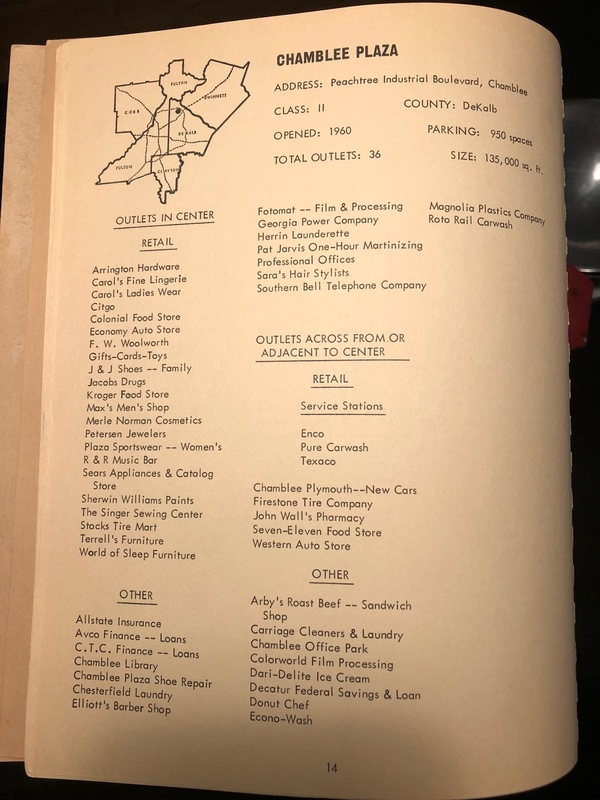 Among those that will remain are Elliott's Barber Shop, a Chamblee mainstay and the only tenant to have remained in business in the center (with a couple of ownership changes) since 1960. Porter Paints will also remain in the center. Last Chance thrift store, which for many years occupied the onetime Woolworth's, closed in 2017 and has not reopened elsewhere. Last Chance is no stranger to having to move in wake of center improvements. The Last Chance in Decatur moved from an old Kroger to Suburban Plaza years ago. When Suburban Plaza went through their renovations in 2013, Last Chance was on the move again. The store is today located on North Decatur Road behind Kroger. 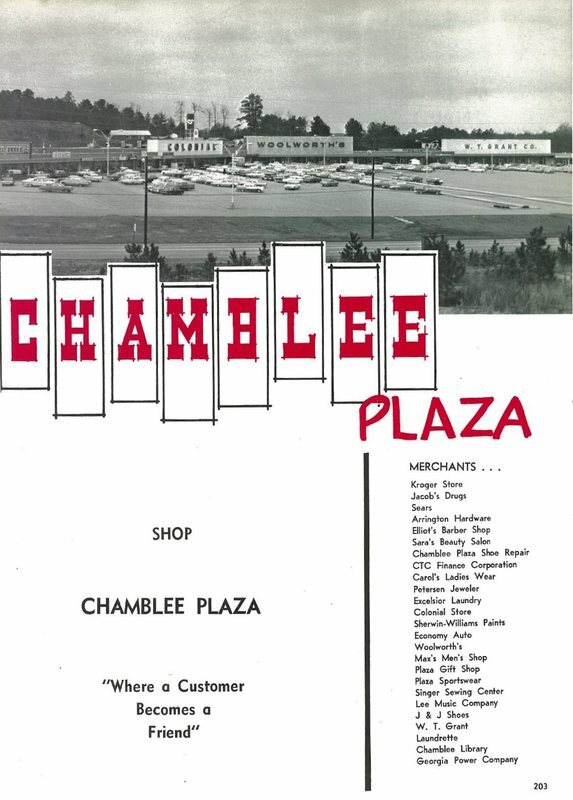 Chamblee Plaza (originally Chamblee Shopping Center) was once a beacon of the neighborhood, home to many popular stores and assorted shops and services. Among the more notable former tenants were Woolworth's, Colonial Stores, Kroger, W.T. Grant, a Sears catalog store, Turtle's Records outlet, Jacob's Drugs, Singer Sewing Center, Hancock Fabrics, Athens Pizza and the Chamblee Library. Himalayas Indian Restaurant, a Chamblee Plaza mainstay for more than 25 years, closed December 31, 2017. Last spring, the restaurant reopened at 5336 Peachtree Road in downtown Chamblee in the former Union Hill Kitchen, which closed in 2017 after about four years in business. TJ Maxx and HomeGoods, likely the two most exciting additions, will each occupy about 20,000 square feet, but will not share a single space, as has been the case for the two chains when opening in the same center. TJ Maxx will occupy the former Last Chance (Woolworth's). The current space will be expanded by 6,000 square feet to accommodate the new retailer. HomeGoods will open in the former China Inn and former Aaron Rents spaces together combined into a single space. After a 3,000 square foot rear reconfiguration, retailer Five Below will occupy a roughly 8,500 square foot space between HomeGoods and TJ Maxx. The Five Below will occupy the former Charleston House Antiques which previously occupied part of the Colonial grocery store and later a Turtle's Records outlet, among other things. Charleston House Antiques relocated to 3676 N. Peachtree Road last year and maintains a pretty cool history page of Chamblee Plaza on its website. Rack Room Shoes will open to the right of TJ in a 6,000 square foot space. Crunch Fitness in a roughly 22,500 square foot space (former W.T. Grant, Hancock Fabrics etc.) and Ace Hardware in a a roughly 13,000 square foot space (former Eckerd, etc.) opened in the center in 2017 and 2018, respectively, and were early pieces of the re-imagined center. Existing restaurants Quiznos and Chinatown Buffet are both likely leaving the center. Riggio was tight-lipped about naming or even indicating with whom he had had discussions for the large anchor space or the many smaller shops. That said, he did say that the large anchor space to the north, the former Kroger/Winn-Dixie/SaveRite, is likely to be leased to a "a single large national retailer." Thus far there are two confirmed restaurants joining Chamblee Plaza. Yumbii, an Asian + Mexican eatery will open their second overall brick & mortar restaurant in the center. Yumbii began in 2010 as Atlanta’s first food truck and in 2017 opened their first Yumbii Taco Shop location at Brookwood Village in south Buckhead. The second restaurant is an as yet unnamed Korean eatery from a local operator with at least one existing restaurant. Another addition to the center will be a skincare business called Skintuitive. The slight expansions of the TJ Maxx and Five Below spaces, a combined 9,000 square feet on the rear of the center, did trigger the need for a Development of Community Impact application (DCI) with the City of Chamblee. This makes the project slightly more challenging, as it needs a favorable recommendation from the city to be approved. The City Council is due to vote on the DCI on February 19. For his part, Riggio points to the increase in tax base, nearly 2,000 direct and indirect jobs the center will create, and community improvement as reasons to support the project. Atlanta BeltLine founder Ryan Gravel, whose parents purchased their first home in Huntley Hills, speaks fondly of "The Plaza" in his 2016 book Where We Want to Live: Reclaiming Infrastructure for a New Generation of Cities. "I don’t ever remember walking to buy groceries, but as a kid in the 1980s we made that half-mile journey almost daily to play video games at Razzle Dazzle or to get ice cream and Cokes at Sugar Bear." With luck, Riggio's vision for the project, "A neighborhood center that brings people and businesses together," will be realized and will once again become a place people visit almost daily. If all goes well, the "new" Chamblee Plaza should make its debut this coming fall. 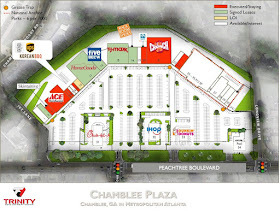 Are you excited for the changes coming to Chamblee Plaza? 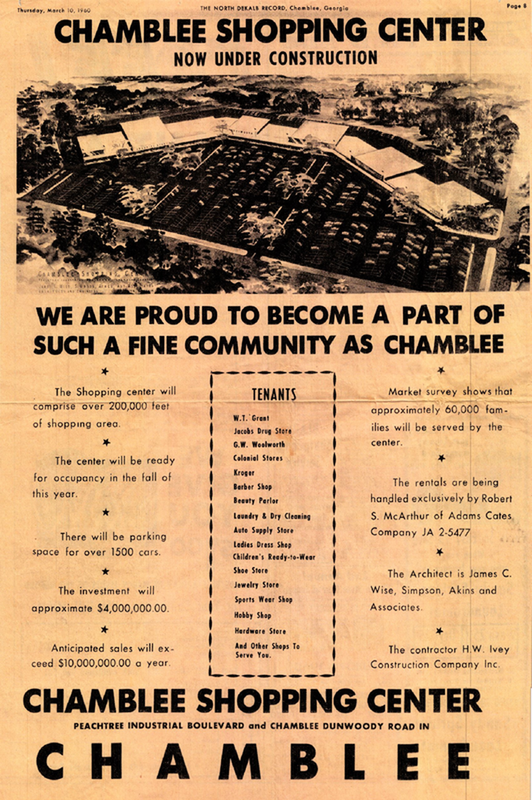 What is your earliest memory of Chamblee Plaza? 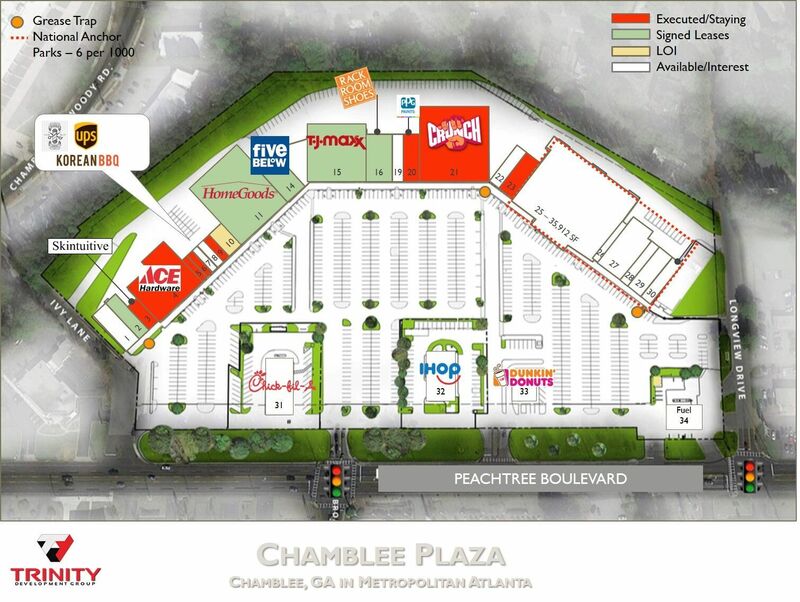 What restaurants, retailers or service providers would you like to see open in the new Chamblee Plaza? Thanks for sharing all the cool historical photos of the shopping center! Very cool. 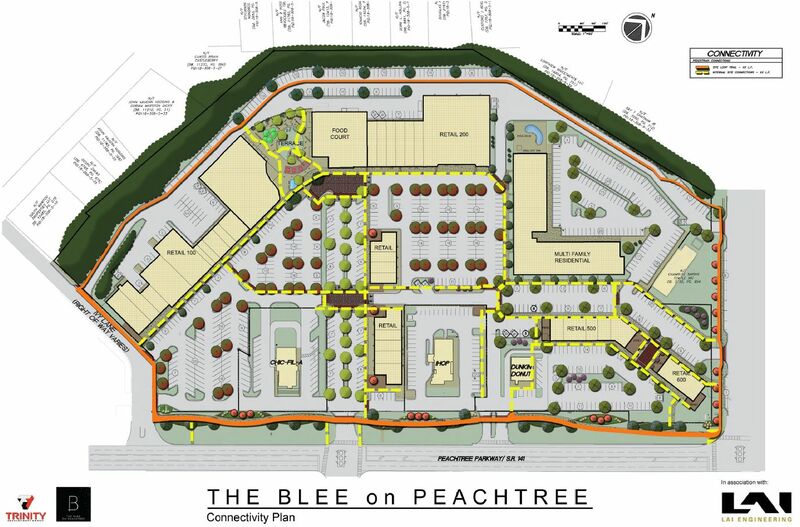 I'm also glad that this probably won't be called "The Blee on Peachtree" because YIKES that's a terrible name. While I don't live in that area anymore, it is nice to see revitalization instead of the usual gloom and doom. This shopping center was ripe to just become an empty piece of land with barely any businesses in it. The developer is doing what he needs to do. Some will complain about the number of discount retailers, but hey people shop there. Many say retail is dead. It's not dead. It's different. And people are learning this. Retail will survive just fine if people pay attention to the customers in 2019 and not the customers in 1989. Retailers who pivot will succeed - like TJ Maxx, Homegoods, Home Depot, etc. The ones who live in the past (i.e. Sears) won't. Congrats to the residents in Chamblee. Hope your government doesn't mess it up. Interesting spin from the developer. It's a boring bunch of stores and the center will be outdated again in a few years. "Amazon proof"? Maybe if they get a grocery store there. You are quite right about the parking situation at Peachtree Station. Stopped by this past Saturday while it was pouring rain and had to park quite a distance from my destinations (Cook's Warehouse and Starbucks). I suppose it is good the shopping center has tenants and lots of traffic but has a bad reputation for traffic congestion. Brian, the rumor for the anchor tenant has been that it'll be a Lidl, so we'll see. What I'd like to see is the developer sell some of the parking lot and get some more standalone retail/restaurant spaces. Just don't forget the history when redeveloping. I want Woolworth back. 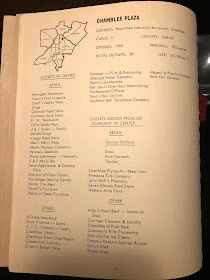 Enjoyed the lunch counter. "...where limited parking is a nagging issue." Have you considered this a feature and not a bug of these developments? Easy parking may benefit the commercial property owner in the short term, but it negatively impacts the quality of development and ability of the City to create vibrant, walkable spaces. Parking lot swamps are great for cars and bad for everything else. 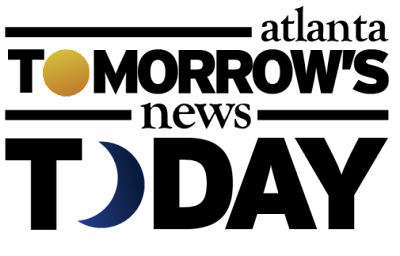 I just joined the Crunch Fitness in Chamblee. Nice gym, but the immediate shopping center feels like a ghost town. Hope everything works out! Also hope the Parkview on Peachtree is a success, despite the parking issues. RE: "The second restaurant is an as yet unnamed Korean eatery from a local operator with at least one existing restaurant." Walkable communities are wonderful and all, but the retailers there now and in the near future need customers to survive, and like it or not, customers still drive cars, because they have to. So, parking is necessary. It's premature to be selling off parking spaces. Someday when there are thousands upon thousands of apartments, condos, etc. surrounding Chamblee plaza, it may be time to reduce parking. But that day isn't here yet, and the place has to survive on customers driving cars. It's just plain old economic and physical reality. The problem in the past has been to unwillingness of the owners to spend any money to update the infrastructure (sewers, drainage, sidewalks) to current codes.. I remember bringing trading stamps to the S & H Green stamp (or was it Gold Bond Stamps) store there in the late 70s. Lots of fun like getting stuff free. Need a grocery store for sure. Even though the Winn-Dixie that was there for years was not the highest quality, it sure was convenient. The WT Grant's location used to be the place for pop-up children's consignment sales circa 2014/2015 - I remember the door pull well! Funny enough the consignment sale was pushed out not because of the retail space being leased, but because the parking lot was rented to one of the car dealerships, who were using it as overflow. I saw another rendering on a competitor website that mentioned a Focus Brands eatery along the right side, and I THINK I saw the words "Big Blue" or "Blue Box" next to it. A Trader Joe’s would be a wonderful addition to the revitalized Chamblee Plaza. The nearest one is currently in Sandy Springs. Sprouts is another option to consider. Happy to see that tenants are finally moving into the center. Never understood why the developer forced China Inn out. Great restaurant, always crowded. Still haven’t found a Chinese restaurant that I like as much. Any chance of getting them back? I’m super excited! I live really close and have been in this area for the last 10 yrs. I would love to see a Ross in the center along with the TJ and other retailers! Can’t wait! I hope they improve the AC for existing tenants. PPG had no AC all summer. Not sure if it was ever fixed. Agree with post - someone needs to come up with a better name than "Blee"? AND ... why not open at least one more tenant on that vast parking lot space???? Definitely would like to see Lidl in there. 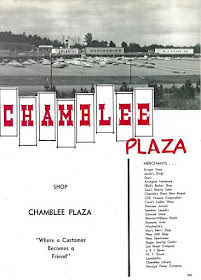 My wife grew up in Chamblee and remembers the early days of Chamblee Plaza. She work at Hancock's Fabrics which was located in Chamblee Plaza. She also used to go to the Chamblee Library which was located in the Plaza. She shopped at the Woolworths and at a clothing store called Plaza Sportswear. Thank you for revitalizing the place. You will get a whole new generation of people to have good memories there. I would love to see Trader Joe’s there! How come everyone wants a Trader Joe's in every center? The Peachtree Corners and Sandy Springs locations are both convenient for my travel patterns and we stop in there every few weeks but it's really a specialty store where you go to get a few select items that you like. You can't really do your regular grocery shopping there so it doesn't seem like a big deal to drive a few miles to the nearest one. And didn't Eli report that TJs has no plans to expand in the Atlanta area or did I just imagine that? Trader Joe's is no longer expanding in Atlanta, and I have heard Lidl is out. It is apparently a non-exciting grocery store, according to rumors. Woolworth, traded green stamps at S&H, so on and so on. 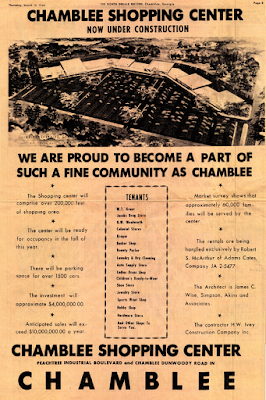 We also used to swim at the old Chamblee pool which was located across the street from where the post office is now. And yes, those were the days of segregation. They used to have an hour where the white families had to get out of the pool so that the black kids could swim. Even as a 8 year old, I thought that was sad. In fact, when my elementary school (Skyland) was integrated, the teachers explained to the classes what was to be expected and that we should be respectful of the new students. A boy and sister came to Skyland and I know for a fact that it was a frighting ordeal for them .The male (hey Bill Mcgee if you are out there somewhere and just happen to be seeing this) became one of my friends and was more welcomed in our home. Anyway, I still live in the area ( yes I have moved around, but I still love being here) and am glad to see the revitalization of the plaza. Best of luck to all of the new tenants...I am sure I will be seeing you soon!! I am glad to see some simple improvements have been implemented such as getting rid of the fire lane along the walk/canopy that allows head in parking. Presumably this required providing fire sprinklers. The new canopy and parking make a huge difference and I'm hopeful about other activity and tenants planned. I hope development includes consideration for CCHS students who frequent establishments on a regular basis (as my two sons did when they were there). Also, it would be nice to see some parking improvements including some bio-retention and trees as the sea of paving is pretty oppressive; especial on hot summer days! Chamblee is a tree city! Thanks anonymous at 1:59 for your comment. Really interesting! Stop with the begging for a Trader Joe's. You are NOT going to get one! Educate yourselves before you comment! It's definitely good to see an actionable plan for the center. I grew up in the area and continued to live nearby for years and remember things like Athens Pizza, China Inn before they moved next to the old Turtle's location; and collecting Turtles stamps to get a free cassette! China Inn was my go-to for Chinese food, and it was horrible when they had to close for awhile after a fire gutted their then-new space. My family shopped there in the late 70s and it left fond memories of even mundane things like the Winn-Dixie. One grocery store chain that has taken over many old WDs is Food Depot. Since Lidl is apparently out, and TJs is done with Atlanta, Food Depot might be nice. They are extremely aggressive on price and take spectacular care of their stores. I've never seen a cleaner tile floor anywhere than at Food Depot. Trust me, you don't want Wayfield, another frequent occupant of old WD stores. Anyway, as a once resident of San Diego, I got used to TJs every few blocks it seemed like, crammed into any possible space. They were not picky. Nobody is out there. Any space will do. The idea they're done with Atlanta and can't find even ONE more location is baffling. I assumed they would drop stores all over just like in SoCal. Oh well. Not even their low rent cousin Aldi is oing that in Atlanta. Nobody is doing new saturation retail here. Not even QT, RaceTrac, or Subway. Two of those are known for having stores within eyesight of each other in some places. I hope the owner will also consider parking lot security. It's a sad reality but MANY cars are being broken in to, plus some car jackings and slider crimes at those gas stations and shopping centers in Buckhead along the W. Paces/Northside intersection. Residents are so tired of it. I feel N Buckhead residents would easily shop Brookhaven & Chamblee over Buckhead in some instances if they felt a security presence and their cars were safe. It doesn't cost that much and can be passed into CAM. Echoing the comments of many others, a grocery store is desperately needed. Trader Joe's, Sprouts or Fresh Market would a wonderful addition to the shopping center. Really hoping this all continues on and that we see all this business come to Chamblee in 2019!